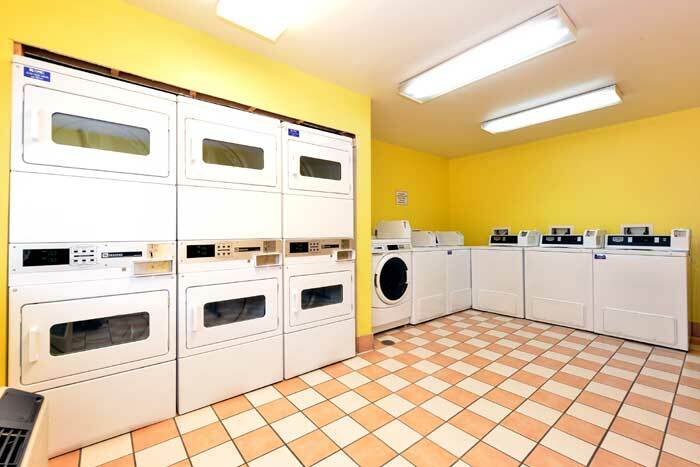 Pet Friendly Hotel with Designated Rooms, Vending Machines,Guest Laundry, and Business Center. Feel like you are at home with a Full Kitchen. No contracts or leases required. 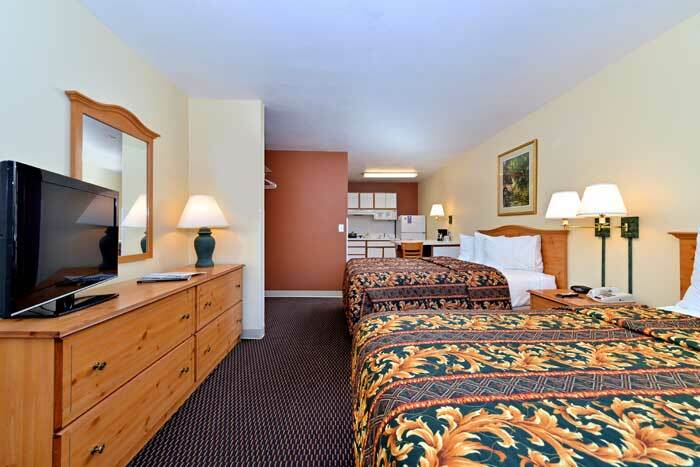 The Suburban Extended Stay® hotel in Albuquerque, NM is located off Interstates 40 and 25. We’re less than 10 minutes from downtown Albuquerque and Albuquerque International Sunport airport. Our extended stay hotel in Albuquerque allows you to stay in comfort and convenience in studio suites with no lease or credit check. 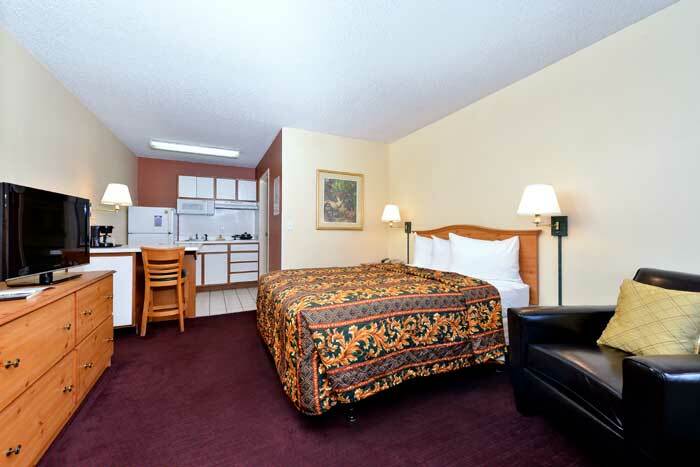 All of our guest rooms have TVs, desks, irons and ironing boards. 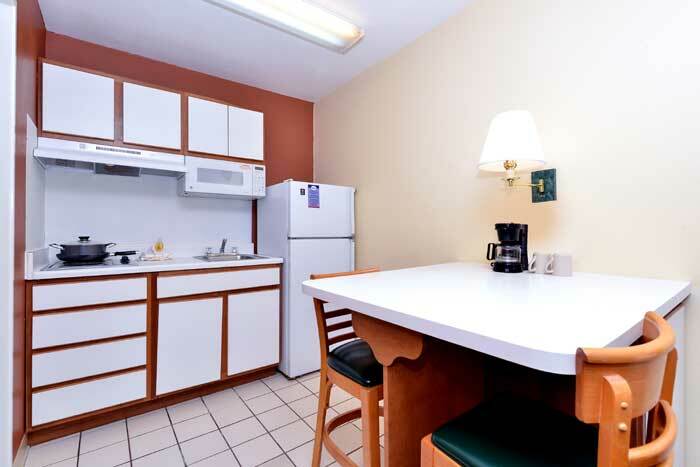 Experience hotels for real life at the Suburban Extended Stay hotel in Albuquerque, NM and travel with confidence. The longer you stay, the more money you save—book a room today! Beats, Crowdsurf & VIVA ABQ presents Parade of Bass Festival on Friday, May 3, 2019 at Balloon Museum Park in Albuquerque, NM. Albuquerque Wine Festival is a 3 day event being held from 25th May to 27th May ,2019 in Albuquerque, USA. This event showcases products like international food and crafts vendors, wines in a relaxed, Wine Growers, arts and crafts vendors etc. From Songkick.com: Brad Paisley, Chris Lane, and Riley Green at Isleta Amphitheater. Activities : There are a variety of things to do in Albuquerque. Whether you're visiting one of our 14 beautiful golf courses, taking a hot-air balloon flight over the scenic Rio Grande Valley, mountain biking in the Sandia Mountains, hiking among dormant volcanoes, horseback riding along the river or strolling through Old Town, you'll find Albuquerque offers a real breath of fresh air. Don't miss the stunning views of the city from Sandia Peak Aerial Tramway, as it slowly climbs the 10,378-foot peak of the mountains that form Albuquerque's eastern border. Airport : The Albuquerque International Sunport is a world-renowned, full-service facility that welcomes more than six million travelers per year.As the state's largest commercial airport, the Sunport serves as the gateway to the diverse cultures, rich history and breathtaking landscapes that make New Mexico. Attractions : Albuquerque Aquarium, Rio Grande Botanic Garden, Rio Grande Zoo and Tingley Beach (fishing lakes). Our mission is to provide Albuquerque residents and visitors with exciting new recreational opportunities and to foster environmental awareness, education and stewardship. The BioPark is a division of the City of Albuquerque's Cultural Services Department. Business : Kirtland Air Force Base's beginnings stem from three private airfields of 1928-1939 and are similar to that of other installations choosing to adapt existing runways and hangars for military use. In 1928, Frank G. Speakman and William L. Franklin, two Santa Fe railroad employees, had inaugurated a private venture for an airport. Working with the town of Albuquerque, they graded two runways on the East Mesa -- one approximately 5,300 feet long and the other just under 4,000 feet. Casinos : No matter what Albuquerque entertainment venue you choose, you'll never spend a dull night in Albuquerque! New Mexico casinos and resorts with gambling feature table games, poker, slots, bingo, spas , golf courses, nightlife , restaurants , concert venues and more. Dining : Albuquerque is home to one of America's most unique and cherished regional cuisines, so it's no surprise that food is one of the things that people remember most about a trip to New Mexico - some people say they moved here just to be closer to the source! New Mexican cuisine is based on native ingredients like corn, beans, squash and chiles, and incorporates Mexican, Native American and Spanish flavors - but chile is always the most important element. Golf : With spectacular weather , 310 days of sunshine and an abundance of outdoor adventures, Albuquerque is a great place for both elite athletes and leisure recreation enthusiasts. Albuquerque is continually ranked among “the country's fittest cities” by Men's Fitness Magazine. Government : The mission of our Community Centers is to provide programs that meet community needs, enhance the quality of life and promote community involvement through the provision of recreation, cultural activities, education, health, wellness and fitness activities, as well as family life activities in facilities that are well maintained, accessible and safe. Hospitals : The University of New Mexico Health Sciences Center is the largest academic health complex in the state. Located on the University of New Mexico campus in Albuquerque, New Mexico, the HSC combines its four missions areas - education, research, patient care and community outreach - to provide New Mexicans with the highest level of health care. Shopping : Albuquerque is home to hundreds of shops including local contemporary boutiques and Southwestern art galleries . Albuquerque also has the state's largest malls and outdoor shopping areas. Albuquerque's major shopping districts are Historic Old Town , Nob HIll, Downtown and Uptown. University : Founded in 1889, The University of New Mexico now occupies 600 acres along old Route 66 in the heart of Albuquerque , a city of more than 700,000 people. From the magnificent mesas to the west, past the banks of the historic Rio Grande to the Sandia Mountains to the east, Albuquerque is a blend of culture and cuisine, styles and stories, people, pursuits and panoramas.